Season 2 of The House Of Muscle will not be showcased on the Motor Trend Network, but instead, featured right here at TheHouseOfMuscle.com with every episode being absolutely free! It was, is and always will be one of the coolest cars that Chevrolet has ever produced. The Chevrolet Impala SS, after a long absence, reappeared in 1994 with slick black paint, a 260bhp LT1 V8 and a presence that made it one of the most sinister cars of the day. This particular 1996 Impala SS, with a mere 1,700 original miles, is owned by one Michael Render, AKA Killer Mike from Run The Jewels. However unlike most folks who would shoehorn something like this away from the public, Mike instead purchased it for one reason and one reason only - to use it as a daily driver. T-tops, Strato-bucket seats, a 455 cubic-inch V8 and a dual gate shifter, these are the trademarks of the 1975 W-30 equipped Hurst Olds. In a time when government mandated smog and safety regulations were in full effect Oldsmobile still tried to combat the system by putting out Colonnade hammers like the one you see here. Let's face it, the 1980's was a dismal time here in the United States for performance. Choked down with emissions equipment the once proud muscle cars that roamed the streets just a decade earlier had all but vanished. Thankfully though one American manufacturer stepped up to the plate and showed the world how it was done with a pair of turbocharged V6 powered hot-rods that set the motoring press on fire. 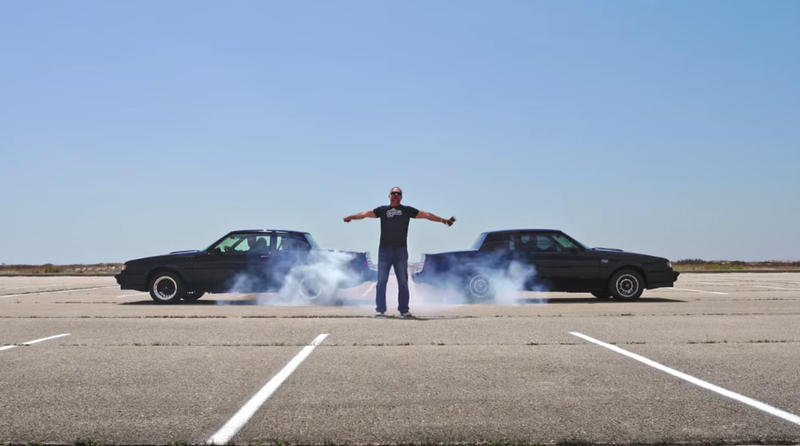 Meet the 1987 Buick Grand National and the legendary Buick GNX. Two of the baddest Buick’s that ever created.